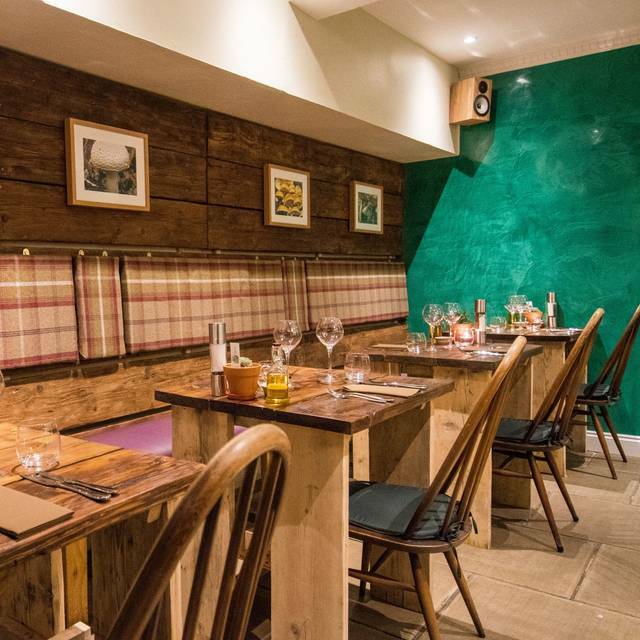 Restaurant Forage & Chatter in Edinburgh boasts the best locally sourced and foraged produce, nestled in Edinburgh's West End. Come and visit us! This is a sample menu only and dishes and ingredients will change on a daily basis. Please speak to the team if you have any allergies or dietary requirements. Very good lunch set menu and al a Carte. Really enjoyed our time there. 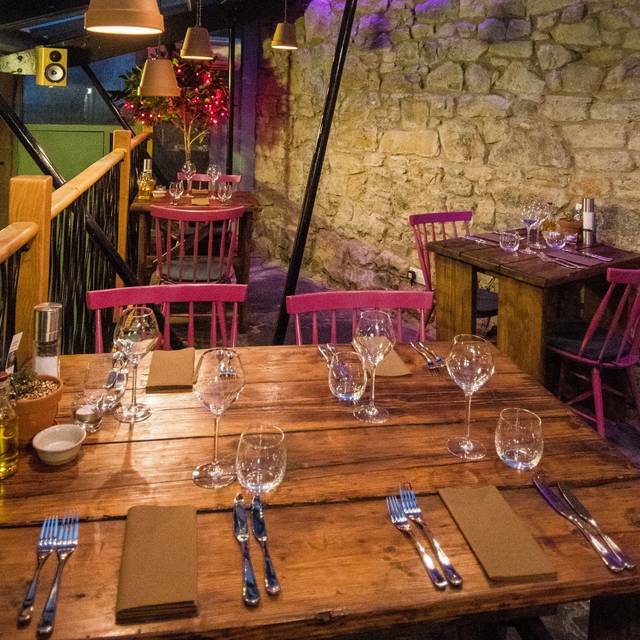 Amazing gem of a wee place for the best food and service - great for informal and special occasions alike. A top 5 in the city for me for more than 5 years now .. give it go! Lovely relaxed dining experience with delicious local foods. A fabulous find and highly recommended. Food was fantastic, and the staff were equally as good with their level of service. Thoroughly enjoyed our evening! One of the best restaurants I have ever been in. Every single thing about it was superb. 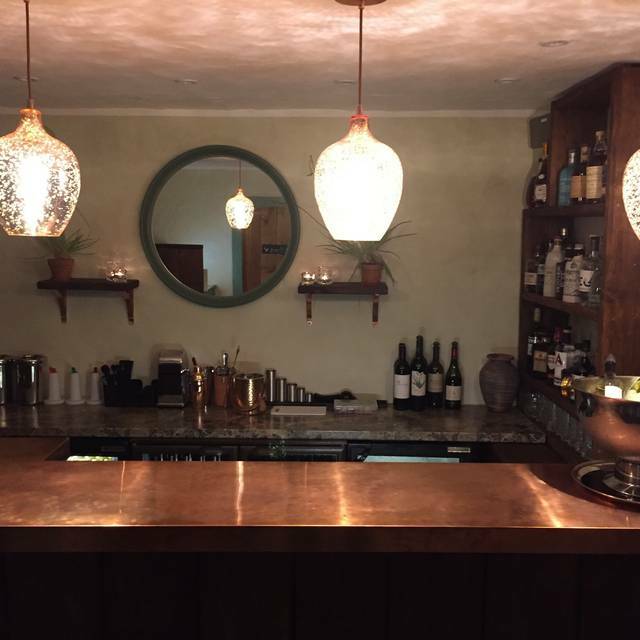 It was our first time at Forage and Chatter and our experience surpassed our expectations. The service was impeccable, everything we ate was perfectly done. Creative, delicious and light. And the layout of the restaurant created a lovely ambiance and seated quite a few people without being loud or feeling overcrowded. We were looked after attentively, given a table in a quiet corner to chat and the food was interesting and tasty (as usual). 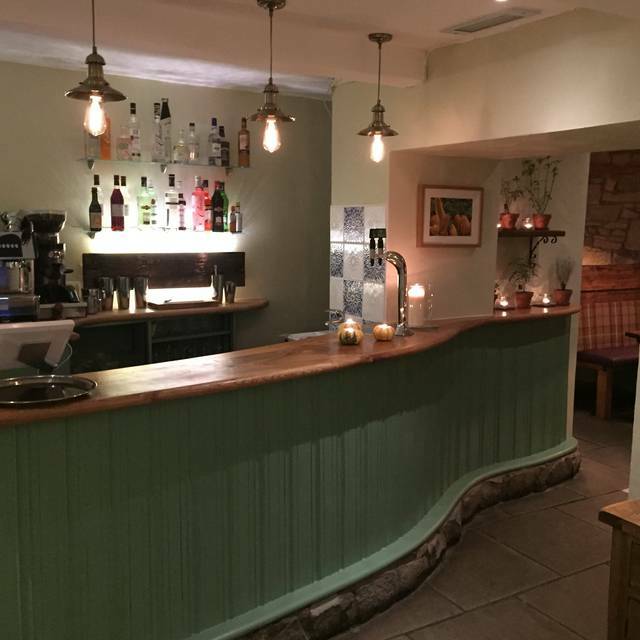 The food was outstanding, the service provided by Max was exceptional, the atmosphere was relaxed and every aspect was professional. We had read great reviews of forage and chatter so decided to try it for our silver anniversary lunch as part of day trip to Edinburgh. We were welcomed with a complimentary glass of fizz for our anniversary, which was a lovely touch. We opted to mix and match items from the special lunch menu (which was very reasonable) with the a la carte menu and all courses were delicious, particularly the main course (duck). Our “host” was great & very helpful with wine recommendations. Would thoroughly recommend - hope to be back! Excellent dinner, quality of the ingredients and flavorus were really on par with the best fine dining restaurants. Attentive, pleasant service and fair prices made it really a place to remember. Too bad it’s that far from London to be amongst our regular spots! Absolutely superb! Like pictures on a plate. Then the flavours!!! Taste explosions on your tongue. Great service from lovely waiters and maitre d. Would highly recommend to other foodies. Compliments to the chef. Whenever we r staying in Edinburgh, we have a meal or two or three at Forage and Chatter and they never disappoint. The food, the service, the ambiance...perfect. Don't miss it! Great to see a menu offering something a little different by using more unusual ingredients. Each dish offered a variety of complimentary flavours and textures. my only slight criticism was that the filling of the glasses was too intrusive. We attended for my other half's birthday. The food was great and the service second to none. The waiter was attentive, informative and very approachable. All in all, we had a fantastic experience and would recommend! If we're in Edinburgh again I'm sure we'll pay another visit. I am always recommending your place. It is my favorite. 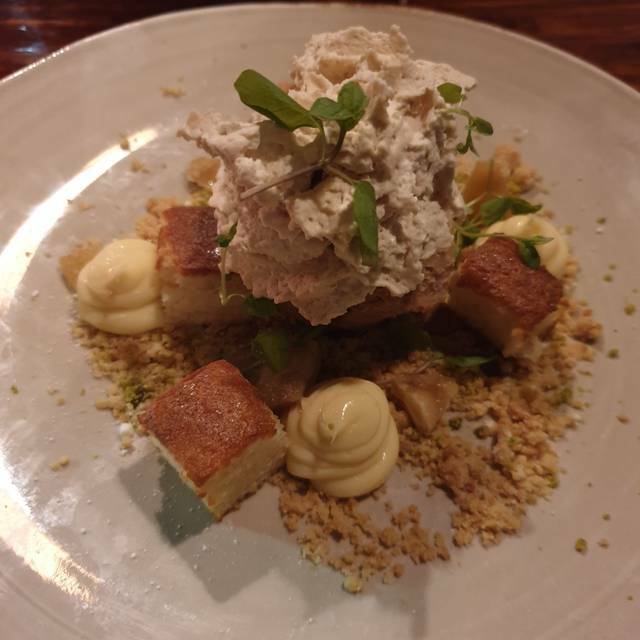 Every bite was delicious, the service was very helpful when explaining and recommending dishes, amazing wine, beautiful/rustic/cozy atmosphere. 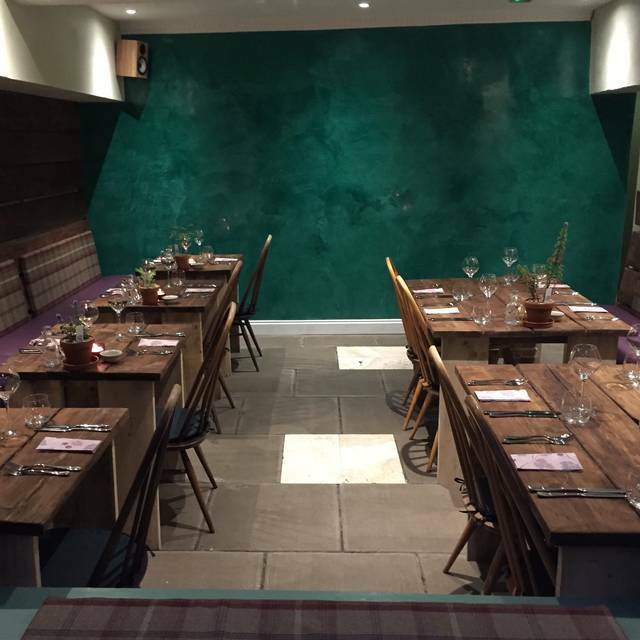 Best food experience in Edinburgh so far! Fantastic food and service! The food was creative and satisfying. The place is very quaint an charming. The staff was warm and informative. Add this reservation to your list when you’re in town! This is a great place to really enjoy delicious and fresh meals. 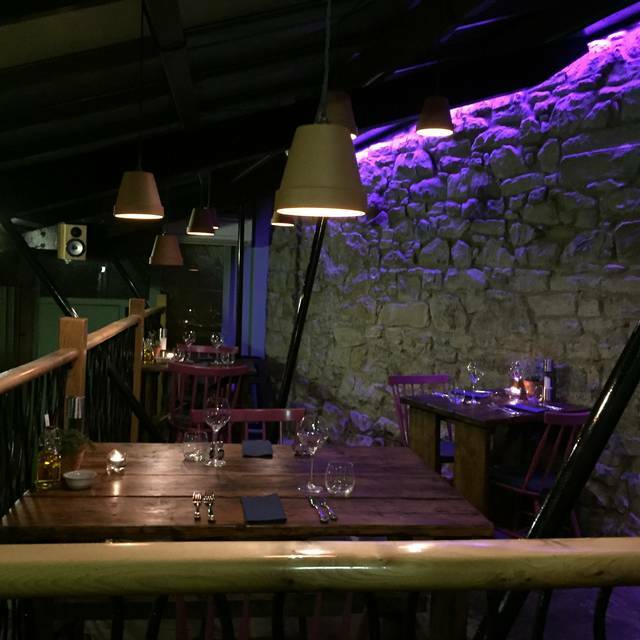 The ambiance was great, the staff was friendly and the venue itself is quite lovely with a subtly Scottish feel. I’d highly recommend this place to anyone coming thru in Edinburgh! I had a very tasty lunch with a friend on Friday. We were both delighted with everything from the delicious aperitif, cauliflower with herbs starter, sea bass which was beautifully cooked to the wonderful dessert, little balls of chocolate mousse with almonds and citrus in a pretty little arc on the plate. Top marks for flavour, taste and presentation! It’s a very welcoming restaurant, not least because of the friendly, efficient service and somewhere I look forward to returning. One of the best meals we have had. Lovely ambience and friendly, helpful staff. Set lunch menu is very good value. Food is delicious, well presented and unique. Good selection of drinks and very attentive waiter. Generally very good, and most of the food was excellent, with the exception of the dish with orzo which was rather uninteresting. One of the best meals I have ever eaten :-) Friendly atmosphere and a super place to celebrate my 55th. Restaurant itself is lovely but the food was trying too hard to be a level above what it actually was. Starter choice good, but main course poor - game? beef? Wine list overpriced. 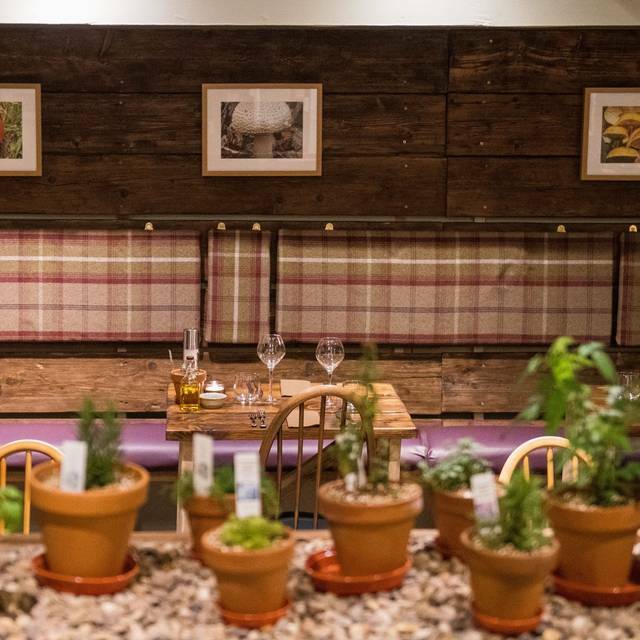 Aim a level down, make it a regular good ol’ Scottish bistro and the surroundings would make it just wonderful. 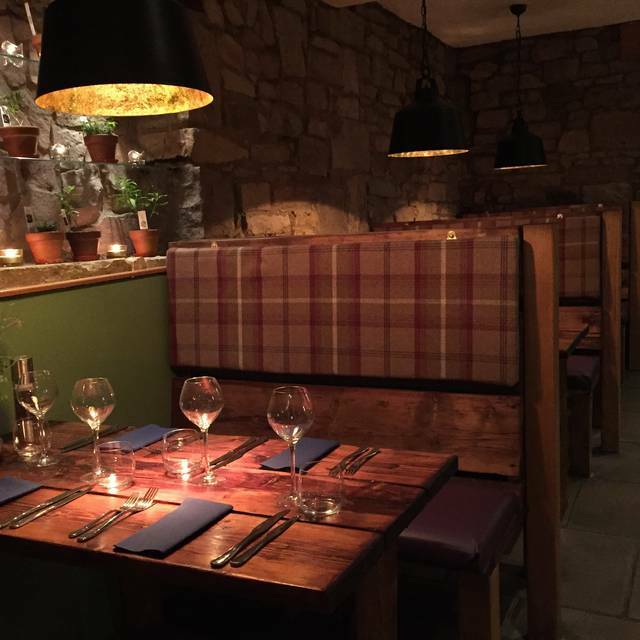 We had dinner at Forage & Chatter to celebrate my wife's birthday and it was absolutely fantastic - highly recommended to anyone visiting Edinburgh. Booked three months ago. Warm reception, great service. Tasty menu and wine to try. Only wish we had room left to have tried their cheese board with a glass of port. Great night, food & service both excellent. Been before & will be back. Thank you. A fantastic restaurant with lots of character. The food was excellent and polite efficient service. Highly recommend and look forward to going again next time I am in Edinburgh. Stunning food, a beautiful venue and lovely wine. Definitely a great choice and somewhere we’d go again next time we’re in Edinburgh! Amazing food and service. Wonderful charm! Superb meal and excellent service - would highly recommend to others and will plan to visit again in the future! The set menu at lunch was fantastic value for money. The sea bass for main course was one of the best dishes I have had recently, really delicious. Would highly recommend.